Valentine’s Day is upon us……are you ready? I’m not! I don’t consider it procrastination so much as being busy as a wife, mom, and coach. (That’s my story and I’m sticking to it.) Lucky for me -and you – it’s not too late! Whether you have a special Valentine or some great Gal-entines you want to spoil on Valentine’s Day, read on for some wonderful, easy, last minute Valentine’s Day ideas. While searching online, I found some cute DIY cards and gifts that can be done last minute. So if you’re looking for some valentine cards or gift ideas, you’re in luck! Below are some great ideas and links to the sources. Need a quick, cheap, and/or easy Valentine card? There are SO many choices, but with time running out, here are a few last minute DIY options. I love them all! 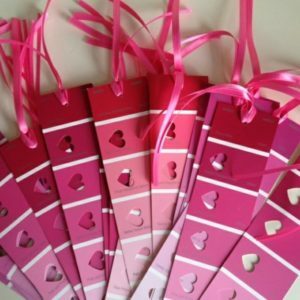 Just grab a *free* paint chip from your local store and cut out some hearts. LOVE this!! When all else fails, simply tell your Valentine/Galentine how much they mean to you. A simple gesture or word of appreciation goes a long way!! 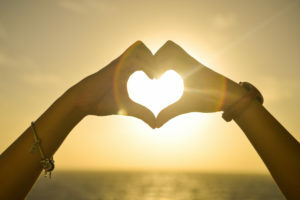 I wish you a wonderful, stress-free Valeninte’s Day! This entry was posted in Bachelorette Party Planning, New & Exciting on February 13, 2017 by Tiffany Freitag.